On May 13, 2013 By Andrea Chalfin News Dir. Food access is getting a closer look with the help of a new survey from the Pueblo City-County Health Department. KRCC’s Eliza Densmore reports. On March 19, 2013 By Andrea Chalfin News Dir. Ten years after the start of the war in Iraq, veterans are increasingly struggling with substance abuse, which often goes hand in hand with post-traumatic stress disorder. A recent study shows that one out of five active duty service members say they drink heavily. As the numbers grow, so does the need for programs aimed at helping heal these invisible wounds. One of the places offering such programs is Haven Behavioral War Heroes Hospital in Pueblo, which opened in 2009. KRCC’s Shanna Lewis has this profile of the facility, which brings together staff with military backgrounds to focus on soldiers coming home from current wars. On February 21, 2013 By Andrea Chalfin News Dir. Wind turbine manufacturer Vestas is laying off workers at its Windsor and Brighton blade factories, the company announced today. The reduction affects 10% of Vestas’ statewide workforce of 1100 employees, and comes after Congress renewed a Wind Energy Tax Credit at the end of last year. On February 6, 2013 By Andrea Chalfin News Dir. State senators took the unusual move of voting to take away a portion of state money from the Colorado Energy office for the rest of the fiscal year…Democratic Congressman Jared Polis has introduced a bill in the House to end prohibition of marijuana at the federal level…Pueblo’s City Council is considering a proposal that would allow Fort Carson’s HAMET program, or High Altitude Mountain Environment Training, to rent space at the Pueblo Memorial Airport. On January 17, 2013 By Andrea Chalfin News Dir. Pueblo County emergency officials are running a biennial survey in a continuous effort to improve the readiness of people who live there. 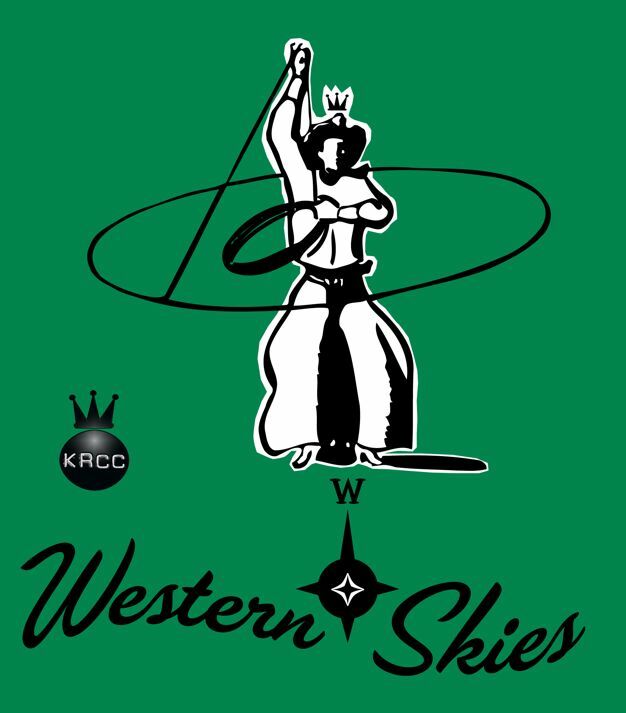 KRCC’s Eliza Densmore reports. Vestas wind energy company plans to hire more than 100 workers at its Pueblo plant…Pueblo County emergency officials are running a biennial survey in a continuous effort to improve the readiness of people who live there…The Colorado legislature prints millions of pieces of paper each year, costing the state a hefty sum. But that could soon be a thing of the past. This year in an effort to cut down on costs, each of the 100 lawmakers received new iPads. On November 7, 2012 By Andrea Chalfin News Dir. Southern Colorado’s Congressmen are re-elected…County-wide measures in El Paso County pass…and more results. On November 1, 2012 By Andrea Chalfin News Dir. Election Day is still several days away, but thousands of southern Colorado voters have already cast their ballots. As KRCC’s Liz Ruskin reports, officials in El Paso and Pueblo Counties say early voting has gone smoothly so far. Funds given to four middle schools have been suspended due to poor test scores. On October 10, 2012 By Andrea Chalfin News Dir. Pueblo City Council last night voted to extend benefits to domestic partners of city employees, the Chieftain reports…Dozens of personnel and several fire engines are at work containing a 400-acre wildfire on the east side of Rocky Mountain National Park…About 1800 enthusiastic supporters turned out at the Fountain Middle School gymnasium as First Lady Michelle Obama kicked off a two-day campaign swing through Colorado in support of the President. The state’s tourism industry kicks off a three-day annual conference today in Steamboat Springs….AAA says Coloradans are paying less at the gas pump than last week…Two of the four candidates in the race for the 3rd congressional seat will take part in a debate tonight night in Pueblo…Thirty-seven years after he was declared missing during the rescue of an American ship crew that was seized by the Khmer Rouge, a Colorado Marine native to LaJunta has been buried with military honors. On October 9, 2012 By Andrea Chalfin News Dir. Two of the four candidates in the race for the 3rd congressional seat will take part in a debate tomorrow night in Pueblo…Pueblo City Council plans a public hearing tonight on benefits for domestic partners, and is expected to vote on the measure…and, Vestas Wind Systems lays off additional workers in Colorado. Two of the four candidates in the race for the 3rd congressional seat will take part in a debate tomorrow night in Pueblo. On September 25, 2012 By Andrea Chalfin News Dir. Pueblo’s City Council decides to vote October 9th on benefits for domestic partners…The Federal Aviation Administration has awarded $200-thousand dollar grant to conduct a feasibility study on locating a spaceport in Denver. Pueblo’s City Council plans to vote on the issue October 9th. A worker at the Arkansas Valley Correctional Facility in southeast Colorado remained hospitalized last night after sustaining injuries in an incident where another woman was killed…At a rescheduled campaign stop in Pueblo yesterday, Republican presidential candidate Mitt Romney criticized president Obama’s handling of the economy and the situation in the Middle East. On September 24, 2012 By Andrea Chalfin News Dir. Some 2000 supporters met Republican presidential candidate Mitt Romney during a campaign stop at the airport in Pueblo today…One woman is dead and another seriously injured after a disturbance at a state prison in Southeastern Colorado this morning. Delays are keeping the I-25 north to US 50 ramp in Pueblo closed longer than anticipated.